Sennheiser has launched its new AMBEO soundbar, designed to deliver 3D sound that places the listener inside the sound experience. Thirteen drivers and virtualisation technology deliver 5.1.4 surround sound without additional speakers. LG has introduced its rollable 65in OLED TV, which it claims to be a world first. Now, TVs can be neatly rolled up or displayed with a touch of a button, opening up space in your home. 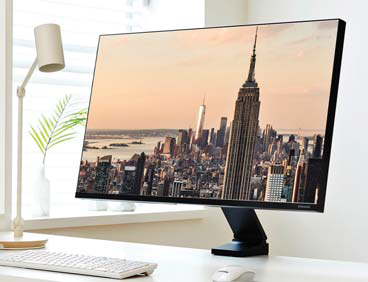 Samsung has unveiled its new Space Monitor, with a sleek design and functionality. The monitor has a unique space-saving solution: a fully integrated arm that clamps to the desk and frees up desk space. The monitor can be pushed back to be stored flat against the wall or brought forward for use. 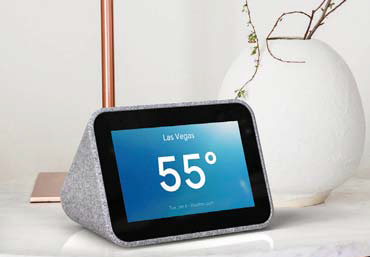 Lenovo’s Smart Clock is equipped with Google Assistant, which can help you set your sleep routine by dimming the lights as well as show your first calendar event. The clock has a full-range 6W speaker and two passive radiators, tuned with the latest background noise reduction technology for enhanced radio listening. Samsung’s foldable mobile device with a 7.3in Infinity Flex Display allows you to fold the screen so you can fit it into your pocket. 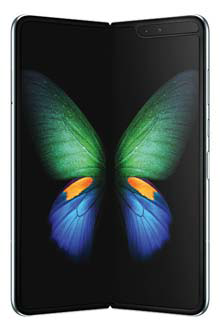 The Galaxy Fold is decked out with impressive specs and features such as 12GB of RAM and a dual-battery system that allows the device to charge itself and a second device wirelessly when connected to a charger. The device boasts six cameras — three at the back, two on the inside and one on the cover. The phone comes with a pair of Samsung’s new wireless earbuds. This article appeared in Issue 871 (Mar 4) of The Edge Singapore.